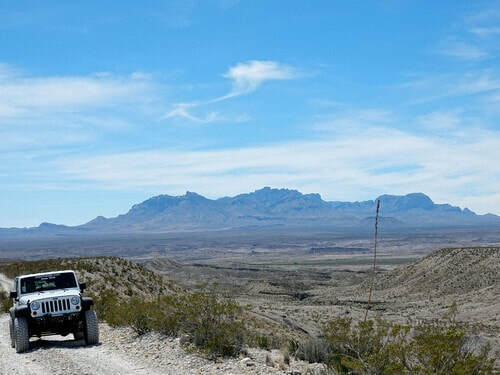 The Old Ore Road got its name from its early use from hauling lead, zinc and silver ore from near Boquillas Canyon to the railroad in Marathon in the early 1900’s. This trail is rated a strong 2.0. Most vehicles will not need 4WD, but they will need high clearance. This trail is described south to north, but it can easily be driven in either direction. 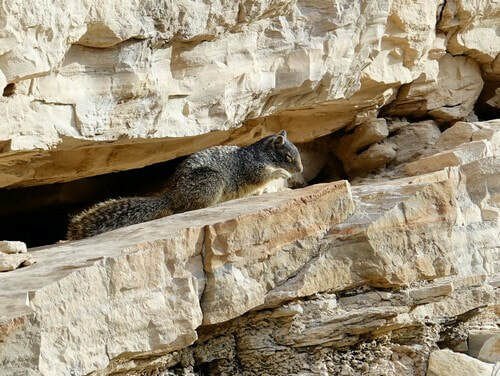 We saw this squirrel in the wall of a canyon. 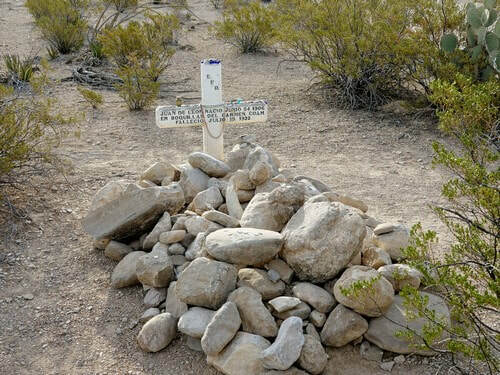 Juan de Leon was murdered at Loria in 1933 following an argument with Joe Luftin. Joe was accused of the crime but never convicted. Drive to the end of a side road and park at the turnaround. 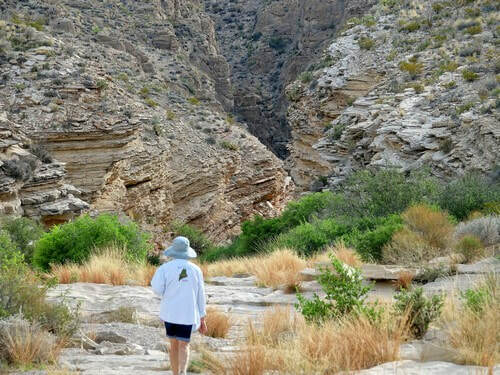 It is an easy half mile hike to Ernst Tinaja, a deeply eroded pocket in the canyon bottom. Tinaja translates as “large earthen jar”. 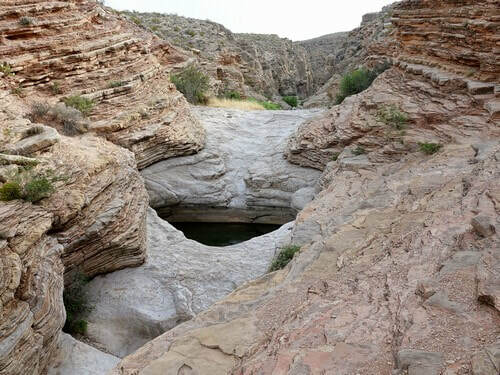 The tinaja holds water year around. 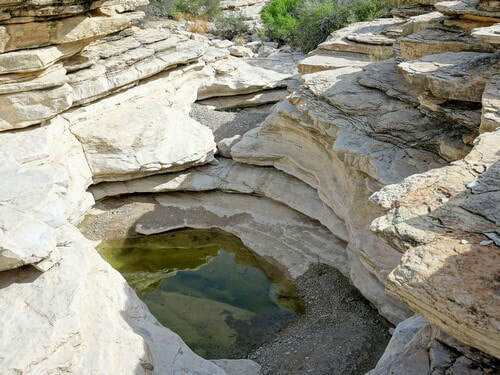 Deer, javelina, a mountain lion and other animals have been found drowned in the tinaja when they could not climb out after drinking. 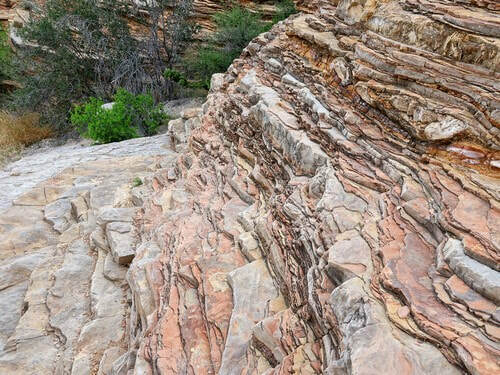 There is very contorted rock layering directly above the tinaja. Two miles north is another series of tinajas, the largest of which is called Tinaja Carlota. Park beside the road and walk a very short trail down the hill to overlook them. 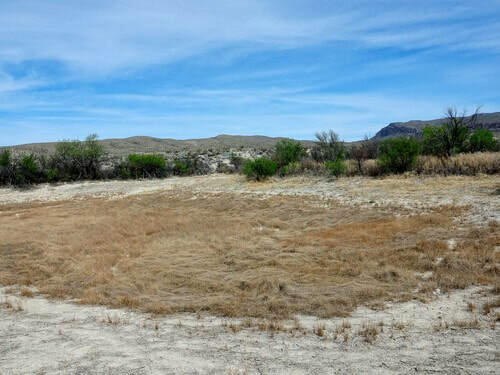 Willow Tank is an earthen tank built by ranchers to provide water for livestock. This one was built around a natural spring that was dry during our visit. The original Ore Road went south from here but is no longer used. 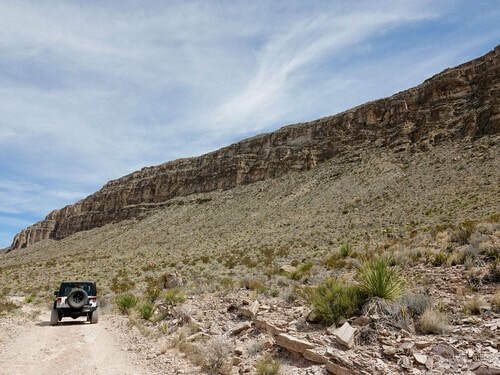 For the next several miles you drive below a long, high ridge of cliffs running along the edge of the Dead Horse Mountains to the east. This ridge, forming the western edge of a huge block of elevated limestone, is called Alto Relex. This name may come from an old Spanish word “a gradual diminution of a wall”. McKinney Ranch operated off and on from the early 1800’s until 1910. 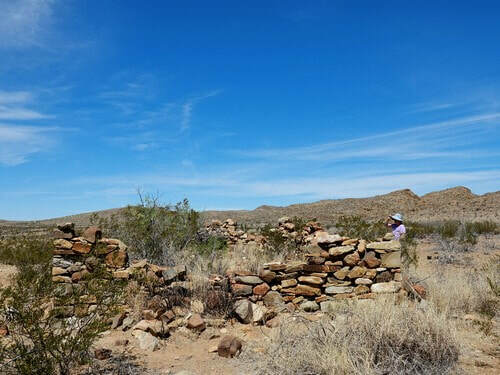 You can see remains of a stable, windmill and the stone ranch house. 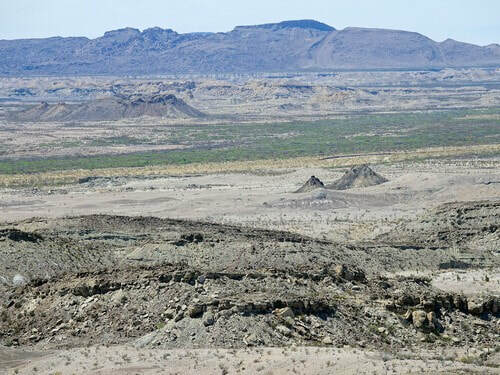 Continue north along a small set of badlands containing two small pyramid shaped hills called Black Peaks. End the trip on pavement south of the north entrance station.